Those who are just starting to look into SEO for their websites can get easily tempted by the unscrupulous offers that claim to ensure the top rank in Google in return for what seems like a ridiculously low amount. There are actually many companies who offer these tempting offers but their work is obviously faulty. They may get your website to rank first but for keywords nobody uses regularly. However, the more common methods used by these companies is to use link building strategies that are highly suspect and questionable. Google penalizes websites built on these techniques heavily. 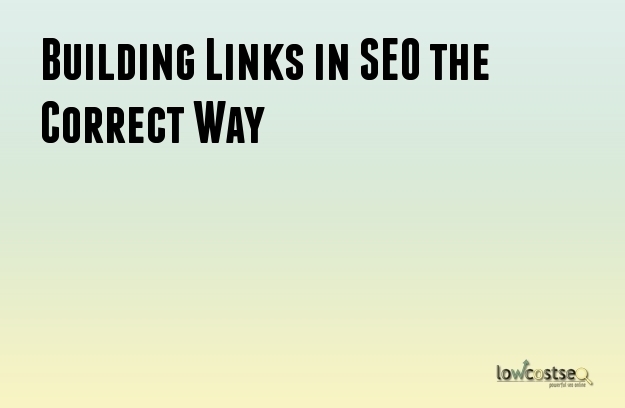 You should find out the best and appropriate methods for building links and use them. A comparison between the white hat techniques and black hat ones can be helpful. White hat techniques: In white hat, blog commenting takes prior contribution. The contribution should be regular as well. At the same times, the comments should actually be useful for the other visitors as well as the author. The links will be useful as well. Black hat techniques: Prior contribution is not performed here. Moreover, the comments have no use or value to anybody. The blog comments are placed with the help of automated tools or bots. White hat techniques: Useful anchor text is used in white hat techniques along with links to a good and quality site. The articles are always engaging and the content is directly related to the title and the website it is being published on. Additionally, the content is always verified for its accuracy. Black hat techniques: The anchor text is generally irrelevant to the overall article. The content of the articles is almost always duplicated in the website. The links of the anchor text lead to sites that are filled with spam or have no relation to the original content. It is common to see these articles filled with poor and illogical content. Grammatical mistakes are also present. White hat techniques: Links to local directories are given preference and the directories used are related to the industry the website serves. White hat SEO professionals ensure that the links are updated on a regular basis and moderated. Black hat techniques: Black hat SEO users will use overseas directories. Moreover, the directories will have no relation to the industry served by the website. Moderation and updates are never performed. Instead link farming is practiced. White hat techniques: Links are always earned by posting content of a good and consistent quality. Social sharing is easily available. Readers are more likely to contribute to blogs via useful comments. The directory links are always useful and popular. Users have a good time in these sites. Black hat techniques: Black hat SEO professionals will farm links from sites that are poor and utterly useless. Blog comments are random and serve no purpose whatsoever. The directories used have no relevance and are largely forgotten by other users. Users tend to have a poor or frustrating experience with the websites optimized by the black hat techniques.